ezpz's award-winning flagship offering - The Happy Mat! 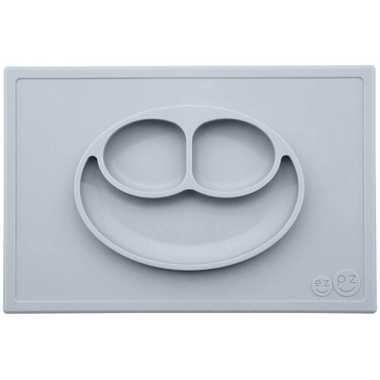 The Happy Mat is an all-in-one placemat + plate that captures kids' messes. Another bonus? It suctions directly to the table, making it nearly impossible for tiny hands to tip over. I gave this place mat/sectioned dishware as a 1st birthday gift and it was very well received. Great presentation, nicely made!